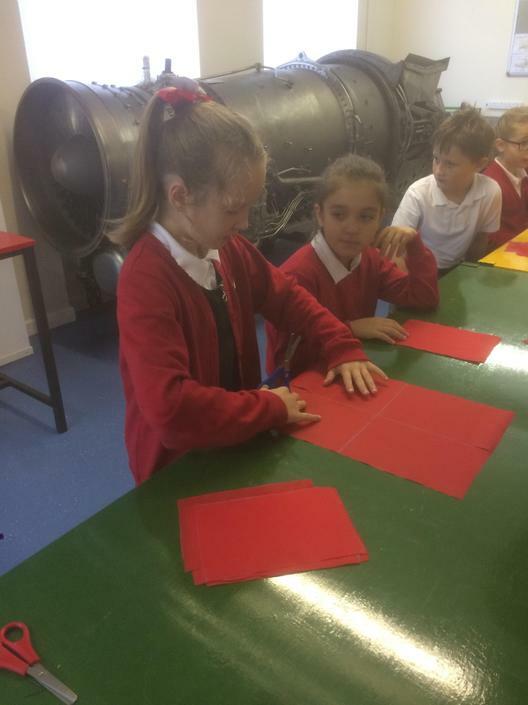 There are 41 children altogether in our year group. 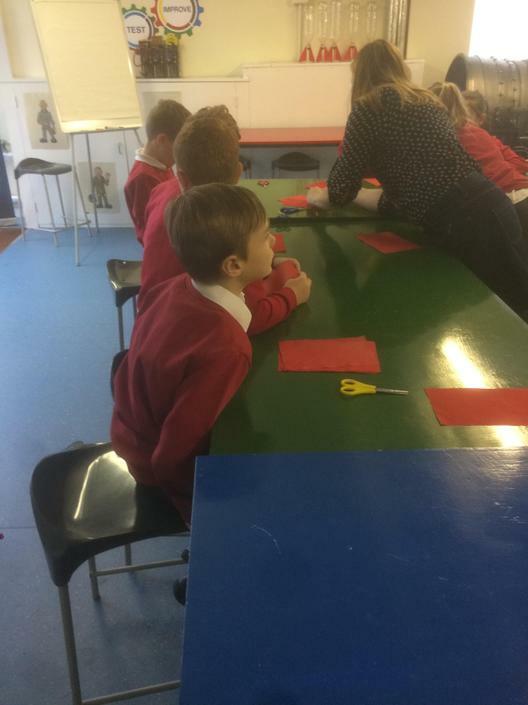 Our teachers are Mr Edge and Miss Parkin. 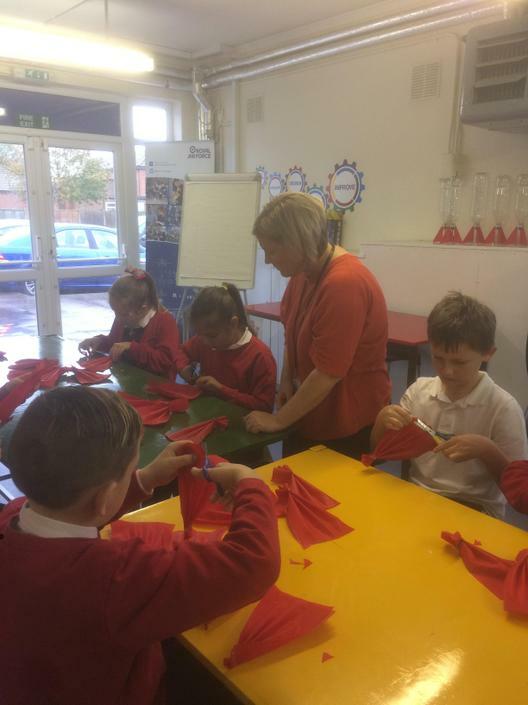 Our HLTAs / TAs are Mrs Wasley, Ms Grayson and Mrs Milner. 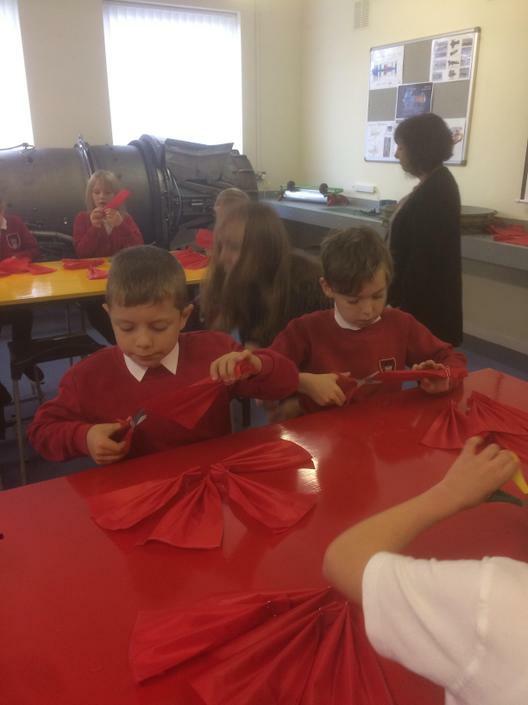 This page will keep you up-to-date with all the exciting things we get up to in our year - there will be photographs, work and important news, so keep checking our page to stay connected with our learning. 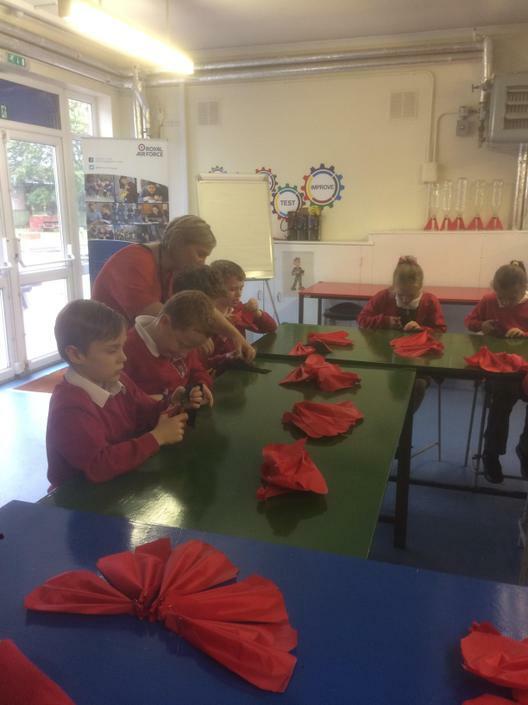 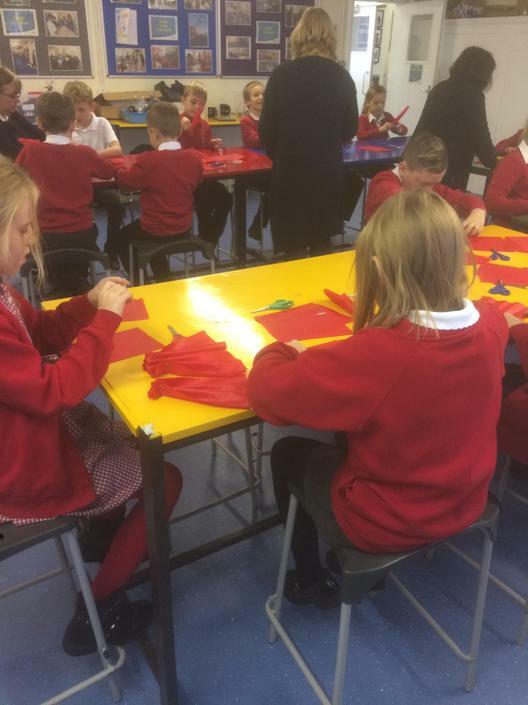 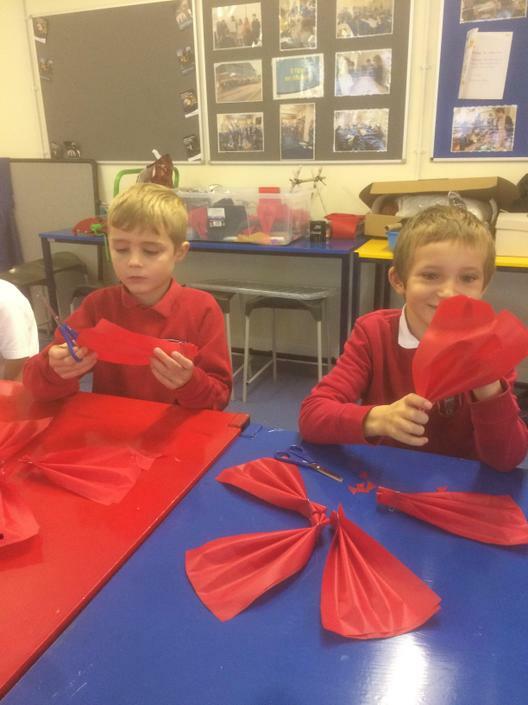 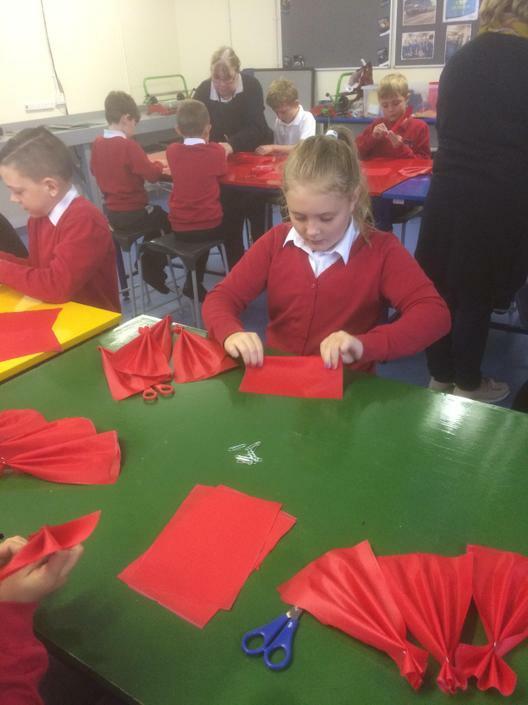 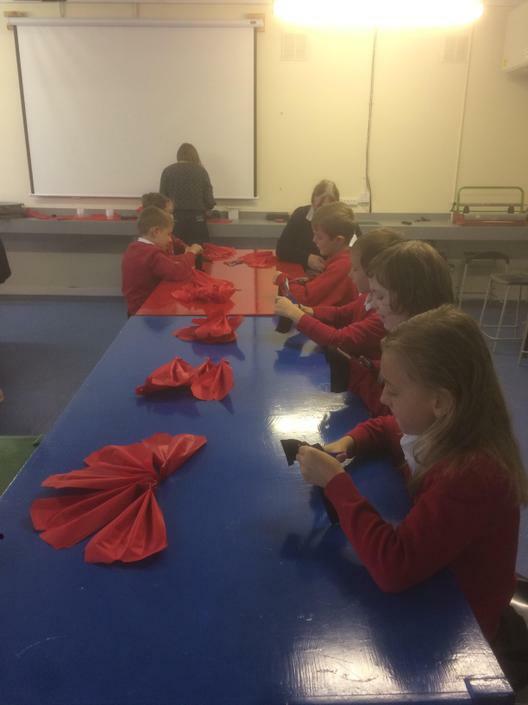 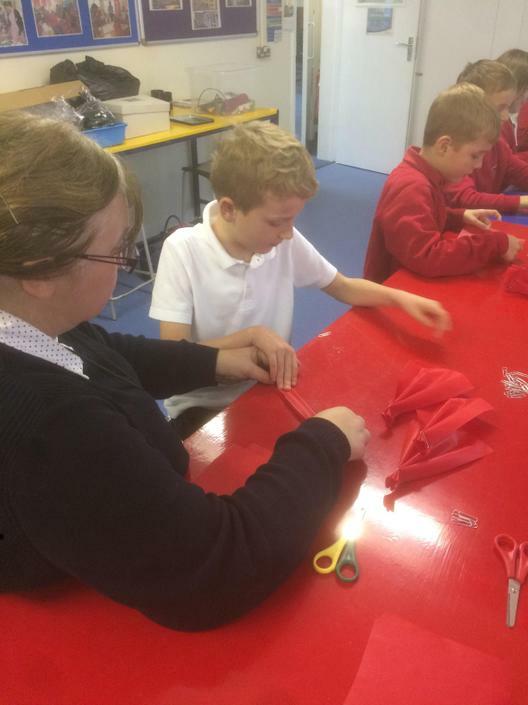 As part of a whole school art project, our class visited RAF Coningsby to make some poppies in readiness for Remembrance. 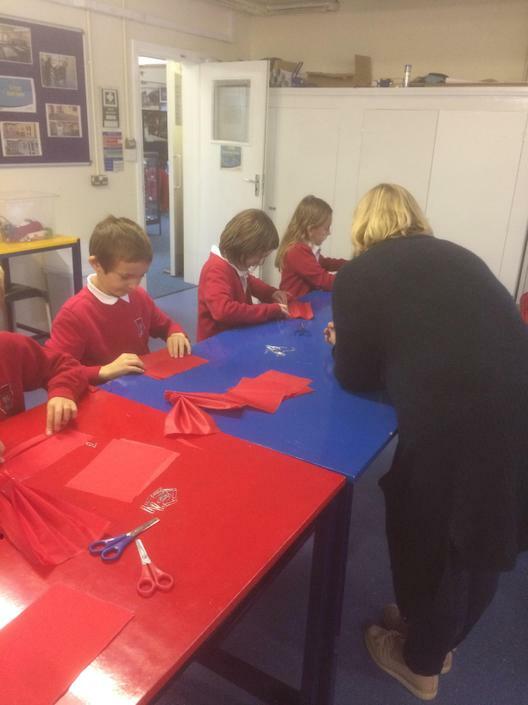 We worked with an artist called Ruth. 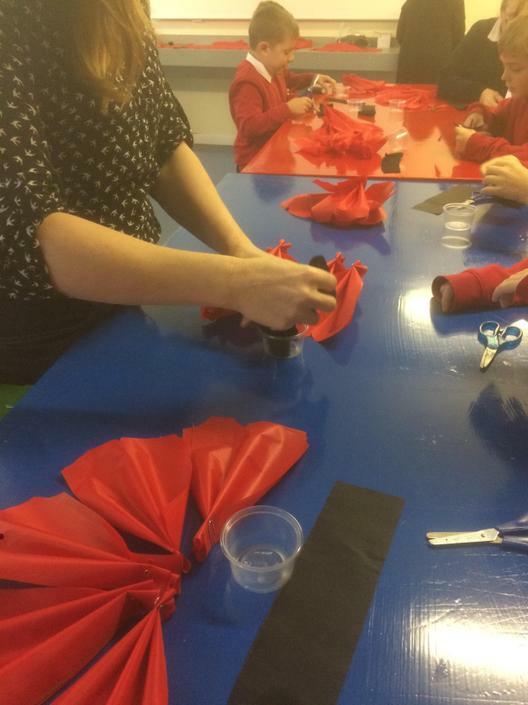 Firstly we made 10 petals out of red waterproof fabric then made the centre out of black waterproof fabric and black felt. 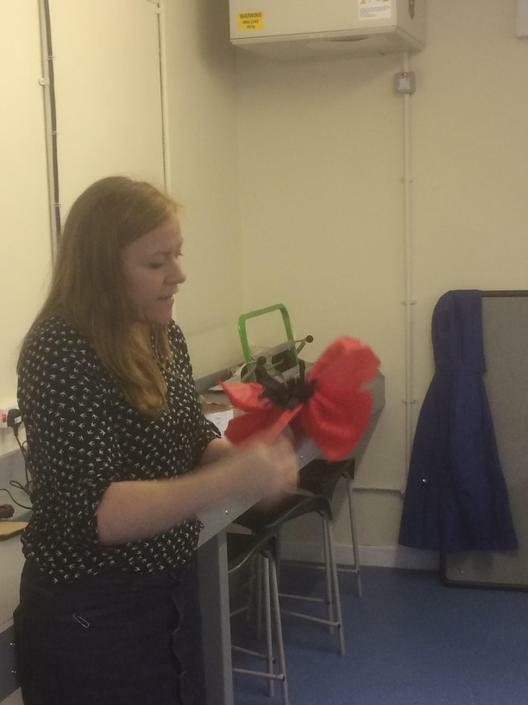 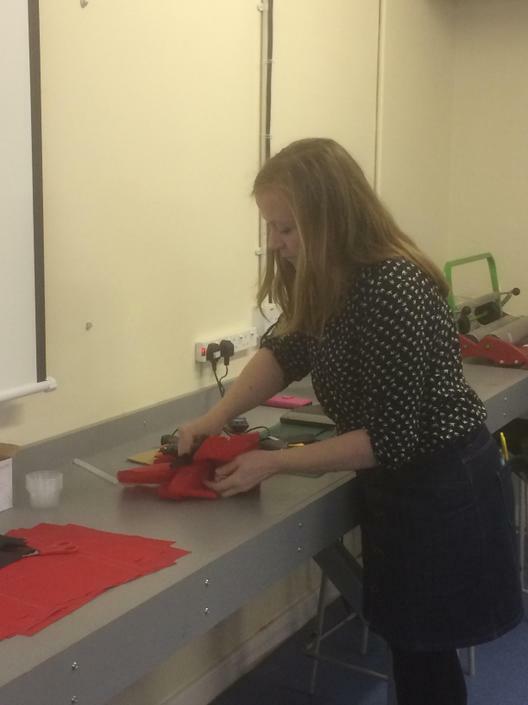 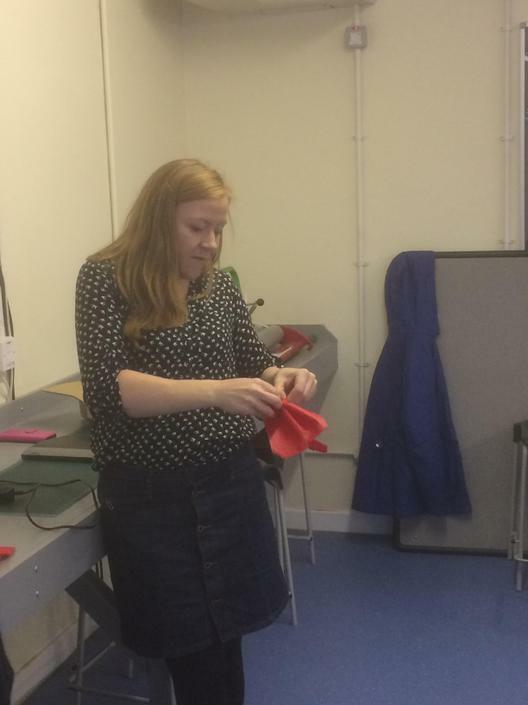 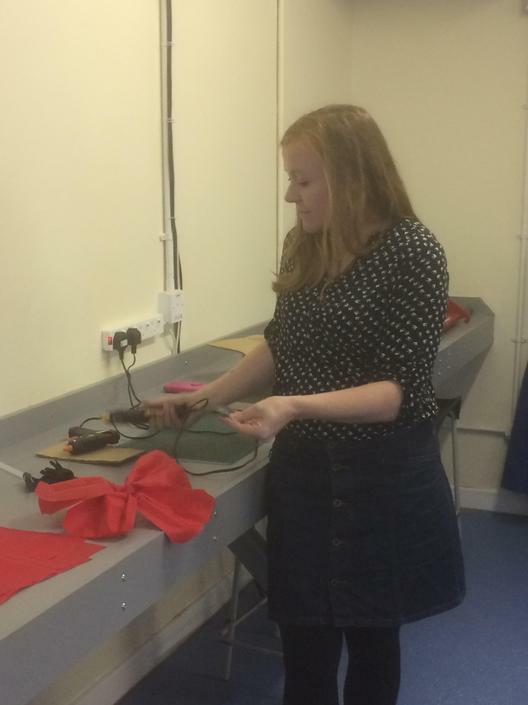 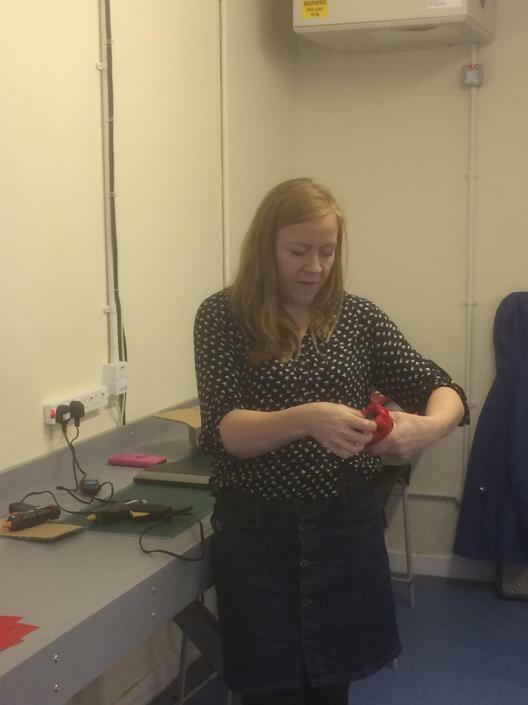 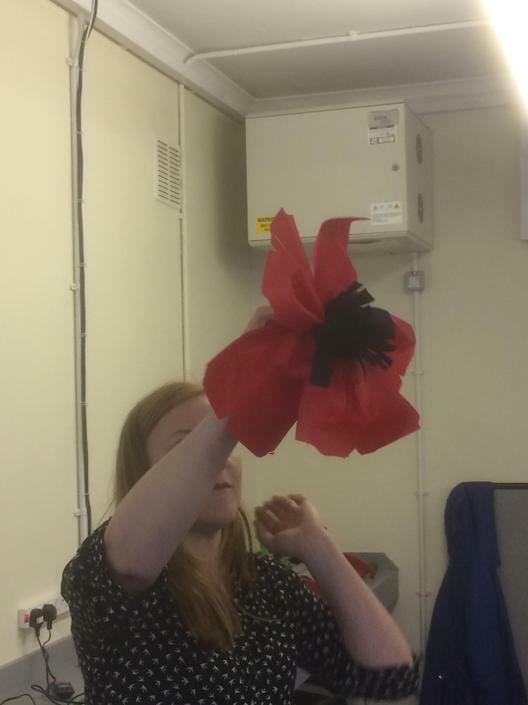 Ruth and her volunteers will complete out poppies using glue guns. 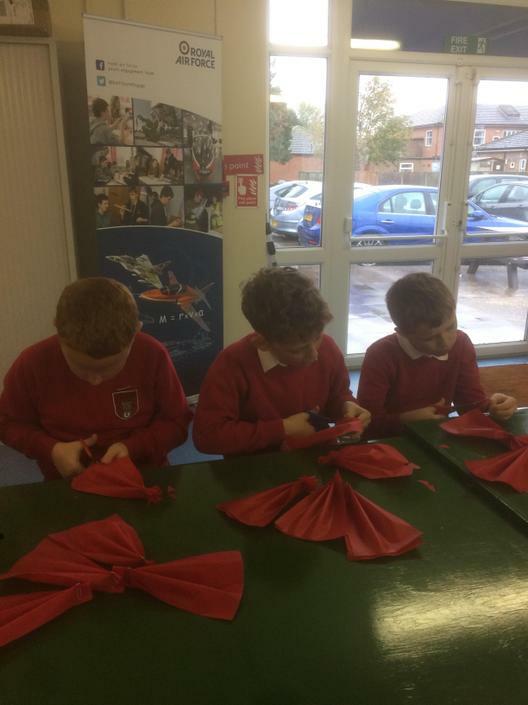 They will then be displayed with the poppies other children have made as an arch at Coningsby St Michael's Church. 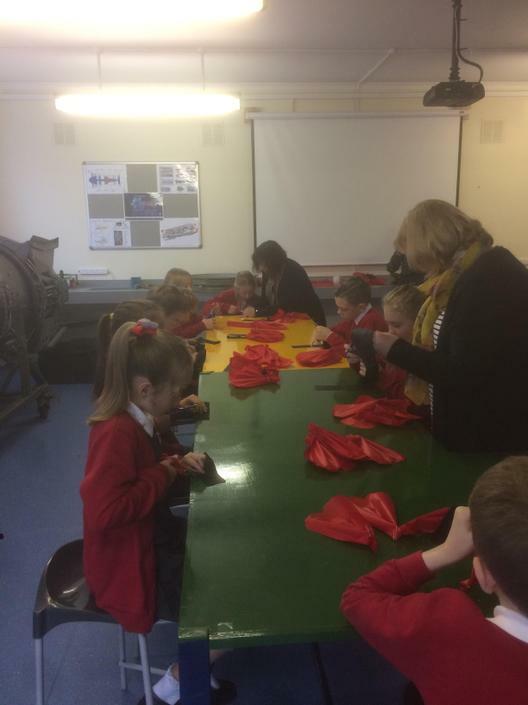 World Book Day 2019 - Paired Reading! 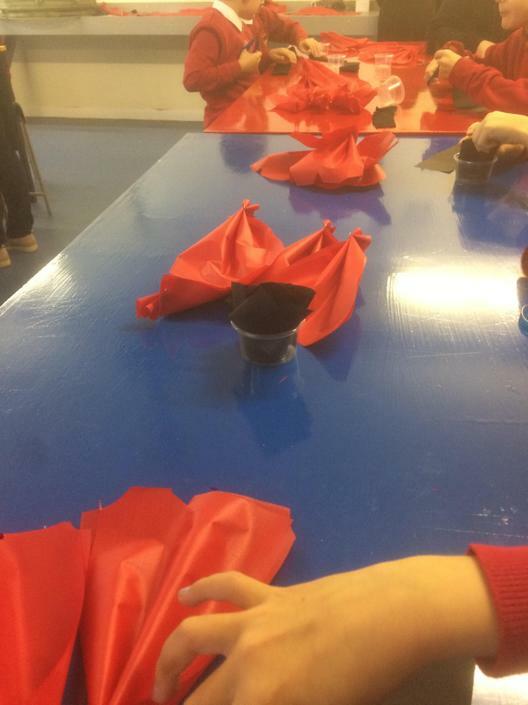 Our World Book Day Potatoes!